Home // Articles // What is Timber Framing? 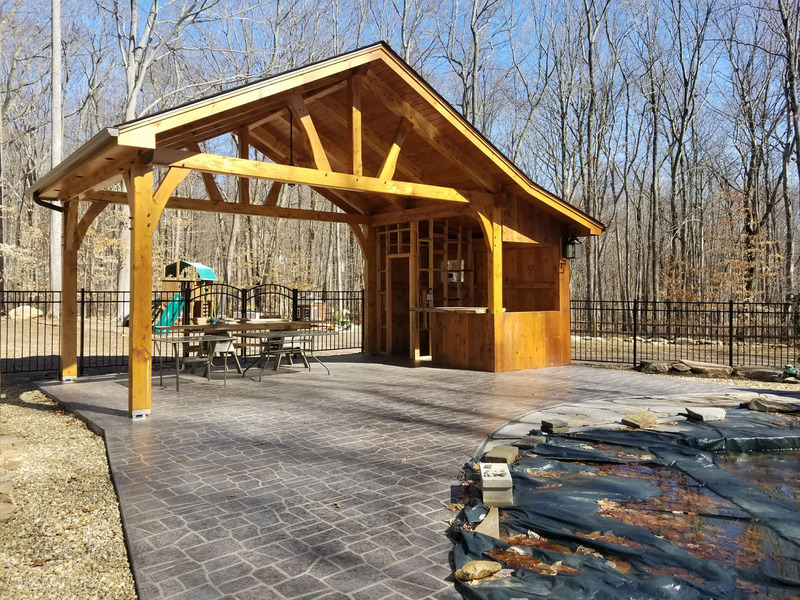 Timber frame structures typically begin with timber harvested from a local forest and may be oak, cedar, pine, or other types of trees that are known for their strength. After the wood has been properly prepared for building, it is joined together by wooden pegs or other types of decorative joinery. Once in place, the timber can be covered with a variety of materials based on the style desired. Because of this, a timber frame structure can fit in anywhere and is not always recognized as such. Private residences are just one example of a common structure that has utilized this method over the centuries. Other examples of timber frame structures include barns, churches, places of business, and schools. These structures are especially prominent in countries such as the United States, Japan, Germany, England, and France. Timber framing is again gaining popularity in modern times, especially as a home-building option. Few building methods offer the flexibility that timber framing offers if you’re seeking to construct a unique, custom-designed home. The structural strength of timber framing allows for more open space inside the home or other structure being built. It eliminates the need for load-bearing walls running through the middle of the structure, allowing for an open kitchen, dining room, or entryway. 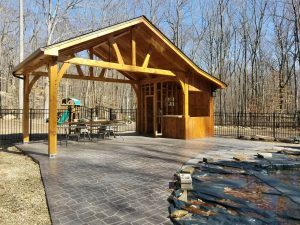 If you’re considering having a home or other structure built using this time-tested and artistic method, it’s a good idea to consult a professional construction company that is familiar with timber frame construction methods. Timber framing has some major differences from more modern methods and choosing a company with expertise in this specific area will ensure you get exactly what you’re looking for.